Beautifully handmade, wooden, Dutch-lever, cheese press. 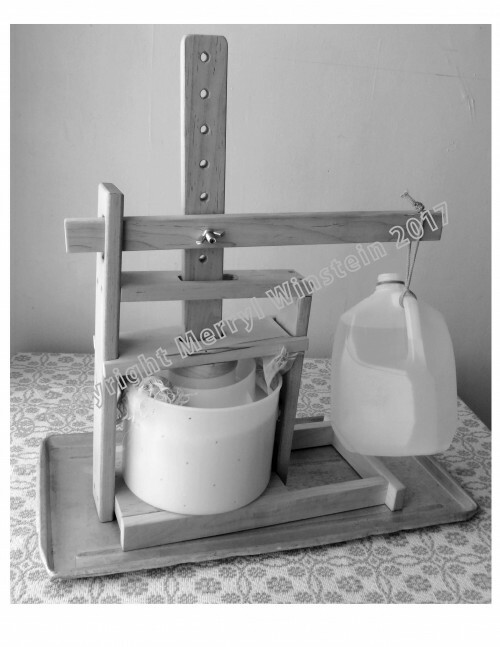 CHEESE PRESS PRICE: $65 includes postage (click here to buy press ). AT CLASS buy press, books, and individual supplies like rennet, hoops, etc. ONLINE buy my books, and the cheese presses. I don't sell individual supplies online.